Do आप like that many TV shows are filmed in Hawaii? My प्रिय Hawaiian goddess is Poli'ahu, the goddess of snow. Do आप think this आइकन I found of her is pretty? Which is your प्रिय island? Have आप ever been to Hawaii? Have आप ever been to Hawaii? Tell us about it! a comment was made to the poll: Hawiian sunset या sunrise? a poll जोड़ा गया था: Hawiian sunset या sunrise? a poll जोड़ा गया था: Waikoloa Village या Honolulu? 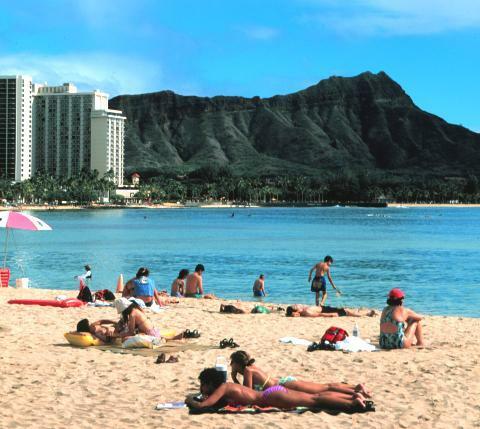 What is the name of the crater (pictured in the background) that overlooks Waikiki beach?